Property Owners: List your Pays de la Loire property on the premier site specialising in French holiday lets. More Info. View all gites and vilas in Pays de la Loire. There’s no problem with where to stay in the region, whether you’re selecting from Pays de la Loire villas or electing to have a gite holiday. Both types of accommodation are plentiful, and you’ll find all villas and gites conveniently situated, to say nothing about being well maintained and well appointed. In fact, the choice of either a Pays de la Loire gite or villa is a guarantee in itself that the holiday will be everything you desire and fully live up to your expectations. A visit to Nantes, the regional capital with an historic centre, is a fun day out for all the family. Lively and interesting, a great deal of pleasure can be had by simply meandering through the streets, observing life and discovering small out-of-the-way places not noted in tourist guides. As for the major attractions, the Château des Ducs de Bretagne, situated at the heart of the city, and the Cathedral of St. Peter and St. Paul, slightly to its north, are both worthy of your time. Shopping is very good, and when you’ve had enough of the city streets, you can go for a boat ride on the River Erdre. In Laval, to the north of the region, you can visit Lactopole, a museum dedicated to the dairy industry. This old city also contains many varied and unusual monuments, while the castle affords good views over the city and the River Mayenne. 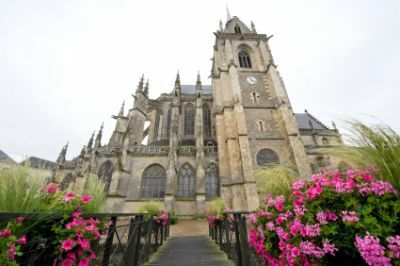 The Mayenne, along with other rivers in the region, such as the Maine and Sarthe, offers plenty of opportunities for boating and river cruises, while the River Loire provides good fishing and comfortable cycling along its flat land. For those who like animals, there’s a large wildlife park to the south-west of Nantes, complete with safari tours amongst the 2,000 inhabitants, and a zoo in La Flèche. The food in Pays de la Loire owes much to the geography of the region. Wherever you go, there are local products and dishes on offer. The region’s proximity to the sea, along with its many lakes and rivers, means that fish and seafood are fresh and plentiful. A plate of mussels or scallops, accompanied by a glass or two of dry white wine, is a favourite way of spending a lazy hour or so in the semi-shade of the afternoon sun. Freshwater fish is often served in Beurre Blanc sauce, which is a classic local speciality. Made with shallots, butter and white wine, it’s the perfect partner for a freshly cooked piece of salmon, turbot or pike. Pays de la Loire also produces its own salt, in Guérande. It’s natural, unwashed and free of additives, and is used extensively in cooking to give recipes that little hint of a difference. After sampling the grilled sardines that are sold in the streets and sprinkled with Guérande salt, you’ll never find another to compare as long as you live! In Sarthe, you’ll find the most heavenly chicken and duck, due to the local farmers rejecting modern farming methods and rearing the poultry as free-range. In Le Mans, THE dish to try is Rilletes de Porc. It’s not unlike paté in appearance, and is often eaten as an appetiser, on fresh bread, or even in sandwiches. Finally, no article about Pays de la Loire would be complete without a gentle nudge in the direction of the cheeseboard. Port Salut, Curé Nantais and Saint Paulin are just three that are a must to try, either as the ideal way to finish a meal, or with some crackers or fresh farmhouse bread. View all villas and gites in Pays de la Loire.